There is always a curiosity when Samsung launches any new smartphone and most of you would surely look for the upgrade that Samsung has put in as it is well known that Samsung always tries to incorporate the latest trends and technologies. About six months ago Samsung happened to release its Galaxy S9 Plus and it has been a showstopper ever since. You must be aware that the price you have to pay to own it is Rs. 64,900 and Rs. 72,900 for 64GB and 256GB respectively which is quite high. Let’s us how and where can we get this amazing smartphone for a better price. But before that let us see why this smartphone is driving public crazy. The smartphone weighs about 189 g which is 6.67 oz and coming to the dimensions, it is 6.22 in long and 2.91 in wide and it is slim and sleek with 0.33 in height. The complete frame of the smartphone is made out of Aluminium and has a Gorilla Glass 5 on either side of the smartphone. It has IP68 dust and waterproofing for up to a depth of 1.5m for half an hour. Samsung Galaxy S9 Plus has a 6.2-inch display which is around 84.2 per cent of the screen to body ratio which is quite good and will look decent. The resolution of the smartphone is 1440 x 2960 pixels and has an aspect ratio of 18.5:9. It also has a facility of multi-touch which is really handy. This device runs on Android 8.0 Oreo out of the box. The processor that the device is built on is Exynos 9810 Octa (10 nm) – EMEA and Qualcomm SDM845 Snapdragon 845 (10 nm) – USA/LATAM. The heart of the device contains Octa-core (4×2.7 GHz Mongoose M3 & 4×1.8 GHz Cortex-A55) – EMEA and Octa-core (4×2.8 GHz Kryo 385 Gold & 4×1.7 GHz Kryo 385 Silver) – USA/LATAM. Samsung Galaxy S9 Plus was released in different variants with 64 GB, 128GB and 256 GB with 6 GB RAM. It has a dual microSD SIM slot, which can also be used to insert a memory card of up to 512 GB. It sports a dual camera at the back, both of them being 12 Mega-pixel with 2X zoom. It has an 8-megapixel selfie camera and it also has a dual video call feature. On the whole, the device is known to click good quality pictures. 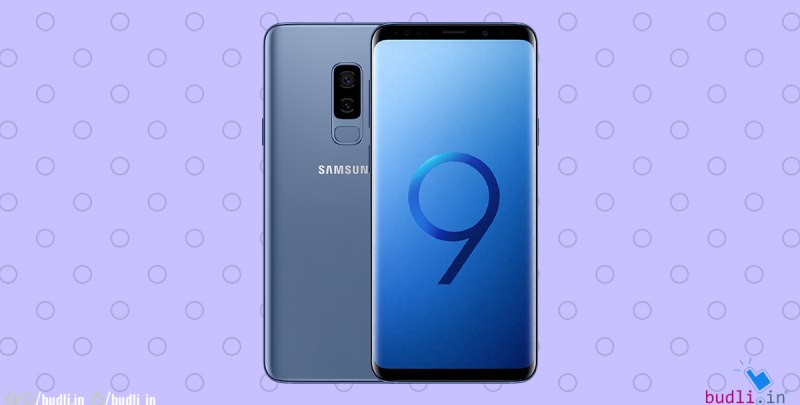 If you have made your mind to buy the Samsung Galaxy S9 Plus, then now is the question, where to buy it. I have the best answer to that question, the only best place to find good quality and cost-efficient electronic devices is budli.in. At budli, you can get hands on this device at a much cheaper price than the actual quoted price. If you are new to budli, it is a platform where you can find refurbished electronic devices of the best quality. The goodwill and loyalty budli has gained is the only reason for it to be the best in the market. You can find a wide range of products on the website. Go get shopping from budli.in.